Illustration of a crossfit athlete muscle up hanging on gymnastics rings facing side set inside diamond shape done in retro style on isolated white background Editable EPS8 (you can use any vector program), JPEG and Transparent PNG (can edit in any graphic editor) files are included. 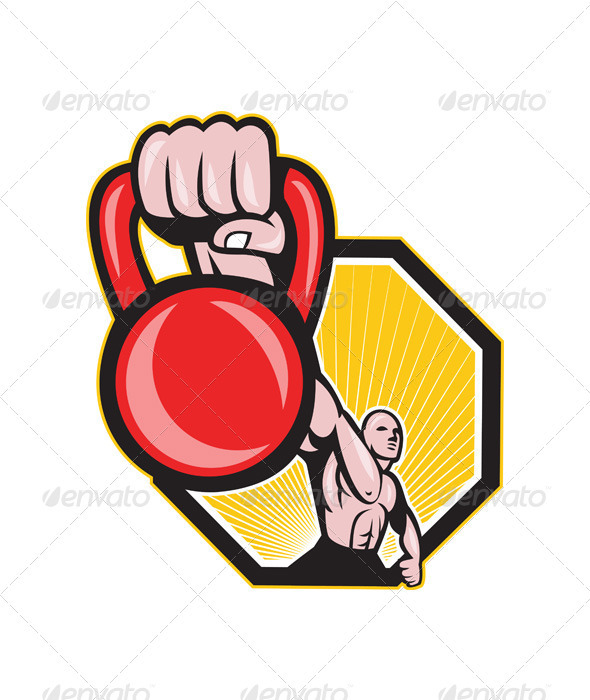 Illustration of a strongman crossfit training lifting kettlebell or girya viewed from front on isolated background. Editable EPS8 (you can use any vector program), JPEG and Transparent PNG (can edit in any graphic editor) files are included.